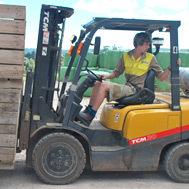 Employers of forklift truck operators should review their operating practices on a regular basis. 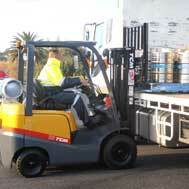 With changes in operator techniques, revised safety standards, staff changes and updated legislation, it is vital that all forklift truck operators continue to have the necessary skills to safely operate a forklift truck. 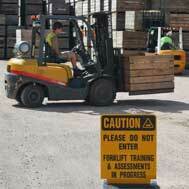 The only way to achieve high standards is through regular forklift truck refresher training. With regular training of operators, employers may avoid operating practices that lead to damage and more importantly injuries to personnel. Organisations should have their operators assessed on a regular basis and provide adequate training and instruction, to ensure that operators have the necessary skills and knowledge to meet the national standards within the workplace environment. 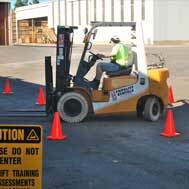 Companies generally conduct forklift refresher training every one (1) or two (2) years. This will ensure that all operators are familiar with any additional safety requirements, updated operator techniques or revised legislation. This will also be an opportunity for the trainer to assess the standard of operation and address any poor operating habits. Refresher training can be beneficial, particularly for operators that have held a forklift truck competency over a long period of time. Poor operating procedures can form over time and refresher training is an opportunity to correct these habits and ensure that operating techniques meet the national standard. Correct operator training is also available for managers and supervisors to ensure that safe operating procedures are adhered to within the workplace at all times. Safe Lift Materials Handling Solutions offer refresher training for all materials handling machinery which include counterbalanced, hydrostatic drive, reach, straddle, all terrain and tele-handler trucks of all lift capacities. We also provide training relating to specialised attachments, create tailor-made packages to suit individual site requirements and provide written reports as evidence for record keeping purposes. This service is available seven (7) days a week, statewide.